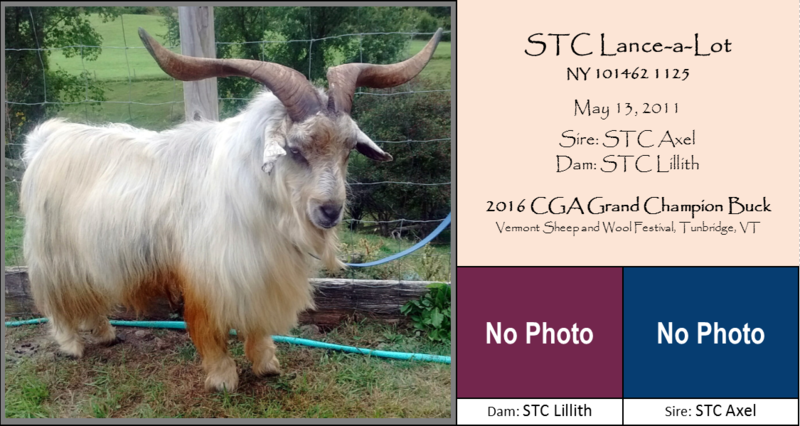 Bred by Wendy Pieh and Peter Goth at Springtide Cashmere in Bremen, ME, Lance-a-Lot was acquired from Yvonne Taylor of Black Locust Farm in Washington, ME, in 2015. Lance was culled at the end of 2018 after a nearly year-long battle with meningeal worm, which slowed him down but did not cramp his style and grace. His imprint on our herd and others is lasting.